Even for those that maintain the most meticulous of dental hygiene routines, Christmas and the festive period can be a real challenge. 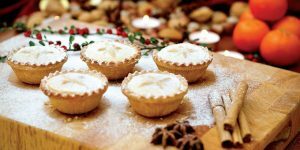 You might be more concerned about what all those mince pies, turkey sandwiches and sugary sweets will be doing to your waistline, but one of your key concerns when it comes to your festive diet is in the impact it can have on your teeth. As you kick back and relax, your usual oral hygiene routine can fall behind schedule too, making those festive feasts all the more of a risk to a healthy smile. The high-risk period between Christmas Eve and Boxing Day can really take its toll on your teeth and can leave lasting damage, from encouraging cavity formation, to contributing to tooth decay. Worse still, the height of the party season is one of the trickiest of times to track down a dentist should something more serious occur and you need emergency treatment pronto. 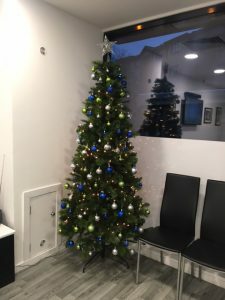 To help safeguard your teeth against immediate and long-term dental problems, the Brite Team have put together an essential checklist for the Christmas break. Any break from the usual routine can be an excuse to slack, but you should never cut corners when it comes to dental hygiene. Throughout the Christmas period, people tend to indulge. Although many expect to pile on a few pounds due to festive feasting, most overlook what that constant exposure to sugary and acidic foods is doing to their teeth. If you brush regularly after eating, bear in mind that you’ll need to work around mealtimes that are different from the usual. It’s also worth remembering that many of us celebrate the big day itself away from our own homes. If you’re heading to friends or family for your Christmas Day dinner, make sure you’re packing your toothbrush to fit in an essential bit of brushing maintenance after you’ve eaten your own body weight in turkey, sprouts and stuffing. Our sugar intake shoots right up during the festive period due to all those sweet sauces, desserts and puddings. Even if you go easy on the pudding, the traditional main course itself is loaded up with things like cranberry sauce and other sugary condiments. Even the most harmless looking of ingredients can be seriously bad for your teeth. Don’t overlook how much sugar is packed into that dried fruit in your Christmas pudding, and keep an eye on the amount of sweetened soft drinks and alcoholic beverages you’re consuming. Sometimes, the draw of a delicious trifle, pudding or mince pie is too much to resist. It’s fine to treat yourself during your Christmas break, but if you’re looking to cut out a few risk factors to your teeth, consider swapping out some of the sugar for other delicious alternatives. The humble cheese board is a stalwart of Christmas dinner tables and it’s a great go-to if you’re looking to indulge a little, without the worry of what you’re doing to your teeth. Just a few little changes will ensure that your teeth emerge from December and into January with as clean a bill of health as possible. If you wish to discuss arranging a consultation with one of our dentists, or require more information about available dental treatments and plans, you can drop us a message via our online enquiry form. Prefer to speak to someone in person? Find the phone number of your nearest Brite Dental branch on our Contact page. This entry was posted on Monday, December 12th, 2016 at 11:41 am	and is filed under Dental Health & Tips. You can follow any responses to this entry through the RSS 2.0 feed. You can skip to the end and leave a response. Pinging is currently not allowed.